I came across this story and photographer a few weeks ago and was instantly captured by it, it was one of those fascinating stories that I couldn't get just forget about, therefore, this why I'm sharing it with you. A truly talented photographer doesn't just take great pictures, they capture a moment that allows the viewer to be transported into another world, much like an artist would with his paintings. 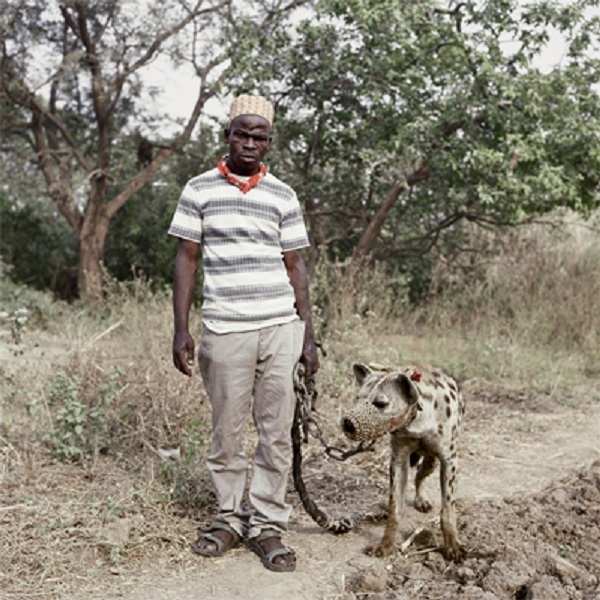 Pieter Hugo's work is truly unique, he's captured the essence of a society in Nigeria that no one has before, he calls them The Hyena Men! 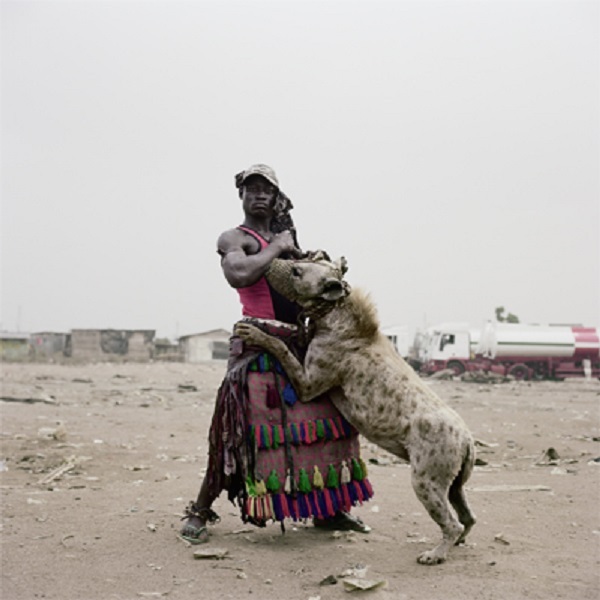 While in Lagos, Pieter Hugo spotted a group of men walking through the local village with Hyena's on chains, as tame as pet dogs, although it is a common fact that these creatures are far from well natured and friendly, they are vicious predators. This image stuck in the photographers mind and encouraged him to delve deeper into the story. Myths surrounded these men, the local newspaper said they were bank robbers, debt collectors, body guards and drug dealers, in fact they are itinerant minstrels, performers who used the animals to entertain crowds. 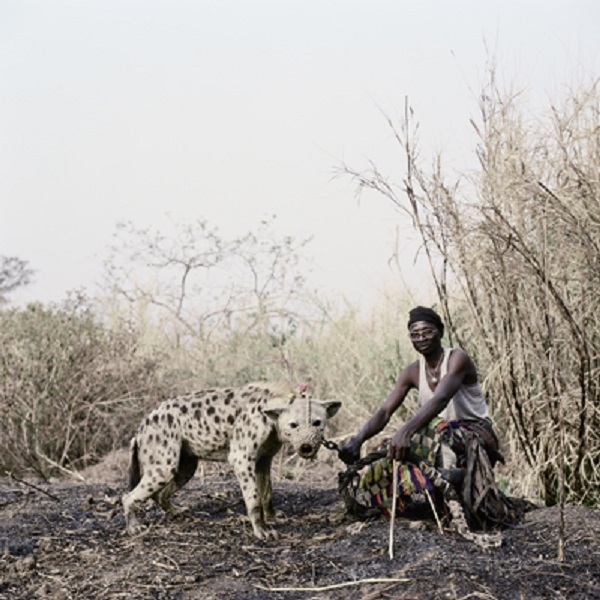 Pieter spent eight days with the group, soon realising that taking photographs of these strange but incredible individuals performing was easier said that done, as the crowds that gathered to watch were overwhelming. Instead he took a much more personal approach and one that I think is far more special, he photographed the men in a series of portraits, travelling along side them and experiencing their lives. My Favourite image has to be 'Mummy Ahmadu and a snake charmer with a rock python', I love the way the child is affectionately pressing one of the world most dangerous snakes against her face. 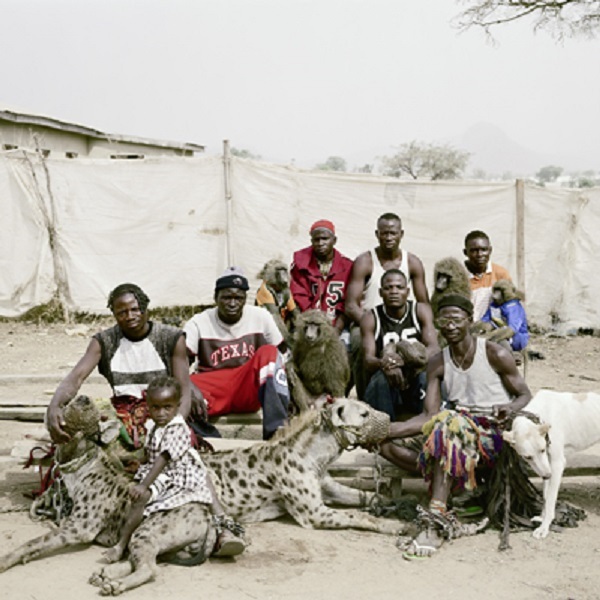 Pieter Hugo's story of his experiences with these men is one of the most fascinating reads, go to his site here to read it in full. Thanks for sharing the photos and the story with us, they are actually really ebautiful. Both of them! They are arent they! I just loved the way he captured them and their lives! This is a brilliant and very interesting post - so nice to see a blog that doesnt just do outfit posts, this is a really good one. I'm following you. Thanks Tom thats very nice of you! Haha now dont be mean about outfit blogs they are a huge inspiration to a lot of fashionistas out there, but maybe not all boys tho! ;) thanks for stopping by and pleased you liked the post! Really powerful and interesting pictures! I was actually looking for new photographers to feature on my blog since I have a section dedicated to photography and you just made me discover a beautiful one. 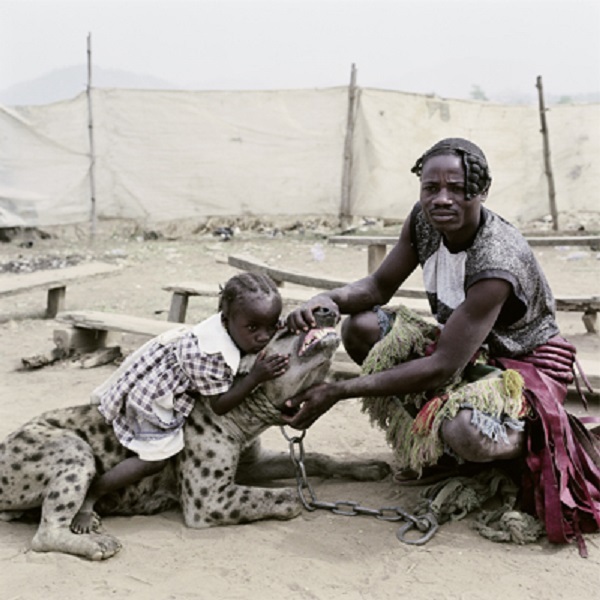 Not only these photos are very interesting getting us to discover another aspect of Africa and especially ethnies, because as an African I bet these men belong to a specific ethny and that their knowledge on how to manage such dangerous animals is ancestral. I am really going to give a serious look to Pieter's site. Really thank you for sharing the work of this photographer. And if you have any other great photographers to advise us, I am all in ! I don't even know that the relationship can be comparable to a man's best friend..you have a wonderful taste for photography. This is very unique! Wow this is truly SO interesting, I always though hyenas were vicious ever since I watched the lion king haha thanks for sharing! These photos are SO intriguing. I was completely mesmerized. Very happy to have stumbled across your blog!